A Musket Ball “whizzed by old Mrs. Hancock’s head”? 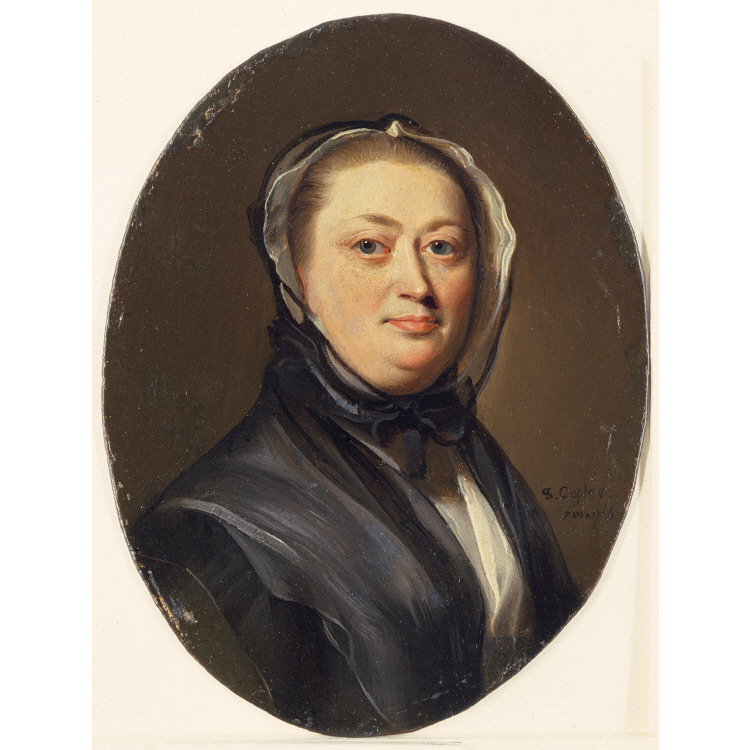 In 1822, William H. Sumner visited Dorothy Scott, the widow of John Hancock. Before going to bed, Sumner wrote down notes on their conversation. That memorandum was published in the New England Historic and Genealogical Register in 1854. Mrs. Scott says the British fired first, she is sure. This was a point much contested at the time, and many depositions were taken to prove the fact that the British were the actual aggressors. One of the first British bullets whizzed by old Mrs. Hancock’s head, as she was looking out of the door, and struck the barn; she cried out, What is that? they told her it was a bullet, and she must take care of herself. Was Lydia Hancock (shown above) really almost hit by a musket ball from Lexington common? However, the distance between those spots is more than a quarter-mile. As Michael Barbieri documents in this Journal of the American Revolution article, eighteenth-century experts agreed that a “musket shot” was 300 yards—which is significantly longer than most modern authorities say. Now that 300 yards was based on firing from a leveled musket, so it’s conceivable that an elevated shot would travel farther. But then it would have come down at an angle as well—unlikely to be whizzing by the head of a lady at the door of a house and then hitting a separate barn. Of course, it’s possible that Lydia Hancock heard something strike the barn and then felt certain it had whizzed by her head. Or that Dorothy Scott’s recollection of the first shots at Lexington became more dramatic than it actually was. Ebenezer Lock (1732-1816) was at Lexington on the morning of 19 Apr 1775. He’s often listed among the militiamen on the town common that day, but with an asterisk, because he wasn’t really. Lock lived in Woburn and was enrolled in that town’s militia company. He had many ties to Lexington, including worshipping at its meetinghouse, so he must have lived nearby and was interested in what happened there. In 1824 Amos Lock, Ebenezer’s first cousin and Woburn neighbor, testified about how the two of them experienced the outbreak of war. Amos said that he heard an alarm bell between 2:00 and 3:00 A.M., and knew John Hancock and Samuel Adams were staying in Lexington. Therefore Ebenezer Lock and myself, both being armed, repaired, with all possible speed, to the [Lexington] meetingthouse. On our arrival, we found the militia were collecting; but, shortly after, some person came up the road with a report, that there were not any regulars between Boston and Lexington. Consequently we concluded to return to our families. We had not proceeded far, before we heard a firing; upon which we immediately returned, coming up towards the easterly side of the common, where, under the cover of a Wall, about twenty rods distant from the common, where the British then were, we found Asahel Porter, of Woburn, shot through the body; upon which Ebenezer Lock took aim, and discharged his gun at the Britons, who were then but about twenty rods from us. We then fell back a short distance, and the enemy, soon after, commenced their march for Concord. Ebenezer Lock moved to Wendell, New Hampshire, by 1790. His body was interred in East Deering, and Lexington historian Bill Poole reports that locals honored his grave even more than other veterans because of his role at Lexington. Supposedly he was the first provincial to fire a shot in the war! Lock fired the first shot that he and his cousin saw, but that clearly came after the initial “firing.” There were probably a few militia muskets mixed in with the regulars’ guns in those seconds, not even to mention the question of where the very first shot came from. The first American who discharged his gun on the day of the battle of Lexington was Ebenezer Lock, who died at Deering, N.H., about fifty years ago. He resided at Lexington in 1775. The British regulars, at the order of Major [John] Pitcairn, having fired at a few “rebels” on the green in front of the meeting-house, killing some and wounding others, it was a signal for war. “The citizens,” writes one, might be seen coming from all directions, in the roads, over fields, and through the woods—each with his rifle in his hand, his powderhorn hung to his side, and his pockets provided with bullets. Among the number was Ebenezer Lock. The British had posted a reserve of infantry a mile in the direction of Boston. This was in the neighborhood of Mr. Lock, who, instead of hastening to join the party at the green, placed himself in an open cellar, at a convenient distance for doing execution. A portion of the reserve was standing on a bridge, and Mr. Lock commenced firing at them. There was no other American in sight. He worked valiantly for some minutes, bringing down one of the enemy at nearly every shot. Up to this time not a shot had been fired elsewhere by the rebels. The British, greatly disturbed at losing so many men by the random firing of an unseen enemy, were not long in discovering the man in the cellar, and discharged a volley of balls, which lodged on the walls opposite. Mr. Lock within, remaining unhurt, continued to load and fire with the precision of a finished marksman. He was driven to such close quarters, however, by the British on the right and left, that he was compelled to retreat. He had just one bullet left, and there was now but one way to escape, and that was through an orchard, and not one moment was to be lost; he levelled his gun at the man near by, and shot him through the heart. The bullets whistled about him. Lock reached the brink of a hill, dropped his gun, and throwing himself upon the ground, tumbled downwards, rolling as if mortally wounded. In this way he escaped unhurt. Needless to say, that’s not what Ebenezer Lock’s cousin had testified to thirty-five years before. Bill Poole suggests there may be some basis for this story in Lock’s activity later in the day, after the Woburn companies had mustered and helped to counterattack the British column as it returned east. Even so, the tale has clearly undergone some improvements for later audiences. Last spring I wrote a bunch of postings about the debate over who hung the signal lanterns from Old North Church on 18 Apr 1775, John Pulling or Robert Newman. My conclusion: They were both involved, and in fact the earliest stories told by their descendants each mention another man, who was probably the other claimant. There’s no need for a debate. However, a third name comes up in those accounts: sea captain Thomas Barnard. This posting is an attempt to sort out his place in the historiography of the event. A 30 Dec 1873 Boston Traveler article (quoted here) credited sexton Robert Newman with hanging the lanterns and mentioned his “friend, a sea captain, who was watching the movement of the regulars.” That same article said (following the Longfellow poem) that Paul Revere was on the opposite shore of the Charles, which elevated Newman’s role but was wrong. William Green, who lives at the North End, is the grandson of Captain Thomas Barnard. His sister, eighty-four years old, remembers Robert Newman. The Barnard name thus came up first as someone whose grandchild remembered Newman. There was no claim to the man’s own role in signaling the Patriots of Charlestown. Mr. Green, a brother of the lady above mentioned, who died recently in Boston, is known to have made a similar statement. Thomas Barnard’s grandchildren thus claimed that he was part of the story of 18-19 April, but only in watching the British troops (as many Bostonians had). They also suggested that Newman himself gathered information on the troops’ movements rather than taking direction from Dr. Joseph Warren through Revere. One of the vestrymen at Christ’s, John Pulling, went with Newman, as probably did Revere’s neighbor, Thomas Barnard. On the afternoon of April 18, Revere alerted Newman and Pulling, and also another friend and neighbor, Thomas Bernard [sic], and asked them to help with the lanterns. It was about 10 o’clock in the evening when Paul Revere left Dr. Warren’s surgery. He went quickly to the Newman house at the corner of Salem and Sheafe streets. As he approached the building, he peered through the windows and was startled to see a party of British officers who boarded with Mrs. Newman playing cards at a parlor table and laughing boisterously among themselves. Revere hesitated for a moment, then went round to the back of the house, and slipped through an iron gate into a dark garden, wondering what to do next. Suddenly, Newman stepped out of the shadows. The young man explained that when the officers sat down to their cards, he pretended to go to bed early. The agile young sexton retired upstairs to his chamber, opened a window, climbed outside, and dropped as silently as a cat to the garden below. There he met Pulling and Bernard, and waited for Revere to arrive. Revere told his friends to go into the church and hang two lanterns in the steeple window on the north side facing Charlestown. He did not stay with them, but hurried away toward his own home. The men left him and walked across the street to the Old North Church. Robert Newman tugged his great sexton’s key out of his pocket and unlocked the heavy door. He and Captain Pulling slipped inside, while Thomas Bernard stood guard. This seems to be an attempt to reconcile the claims of both Pulling’s and Newman’s descendants that their ancestor actually hung the lanterns while keeping someone at watch down below. In turn, Fischer’s authoritative telling shaped the story in several books published in this century. But, as I said, I’ve found no claim that Barnard actually was at Old North that night. A lot of legend grew up around the American Revolution in the late 1800s, and Henry W. Longfellow’s poem “Paul Revere’s Ride” made the events of 18-19 Apr 1775 especially famed and susceptible to mythologizing. In the early 1900s the pendulum swung the other way, toward debunking and skepticism. This is when the story of Boston’s stolen militia cannon dropped out the standard telling—that story seemed too dramatic to be true. Sometimes debunking went too far. Walter Benjamin, publisher of The Collector, has in his possession a letter which he believes proves conclusively that Paul Revere never made the midnight ride attributed to him by Longfellow and tradition. Dear Sir: I am much obliged for your notice. It is said the officers are gone along the Concord Road, and I will send word thither. I am full with you that we ought to be serious, and I hope your decision will be effectual. I intend doing myself the pleasure of being with you tomorrow. My respects to the committee. I am your real friend, JOHN HANCOCK. Mr. Benjamin says that it Hancock of the Committee of Safety, knew at 9 o’clock that the troops had gone along the Concord road and hoped they would be “serious,” that Lexington and Concord were fully aroused to the danger of the coming of British troops, and that there would be no need for Paul Revere. . . . The article noted that a version of this letter had been published in the 1828 biography of Gerry, but without the time included. Benjamin argued that the omission of “at 9 o’clock“ meant people hadn’t realized its significance. 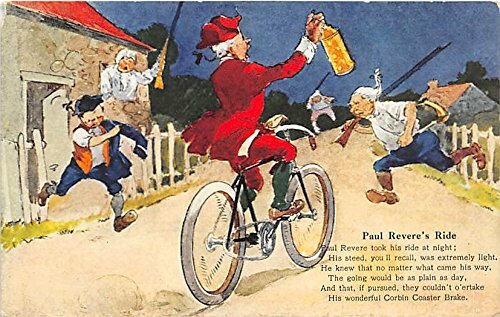 On the other hand, the Times continued, “the learned professors…did manage to find a plain prose version of Paul Revere among the old manuscripts of the Massachusetts Historical Society papers.” The article summarized Revere’s own account, which the M.H.S. had published in 1798 and certainly wasn’t hiding from view. However, the historians are not altogether satisfied with the Revere letter, for he wrote it in 1798, twenty-four years after the ride, and, conceding his honesty, his memory might easily have been bad. Considering the many doubts which the learned have come to have of Paul Revere’s ride, Mr. Benjamin believes that the evidence contained in the Hancock-Gerry letter shows that it never happened at all, outside Longfellow’s poems. Benjamin made a couple of errors in interpreting the document he’d bought. First, Gerry and Hancock exchanged notes about a squad of “officers,” not the full “coming of British troops.” Those officers were mounted scouts with a mission of stopping messengers from getting out of Boston and into Concord. The hundreds of grenadiers and light infantrymen who followed the scouts presented a much bigger threat. About three hours after Hancock wrote his note, Revere reached Lexington with news of that column. Benjamin’s second error was concluding that the letter showed “Lexington and Concord were fully aroused to the danger of the coming of British troops” before Revere arrived. They were only partially aroused. 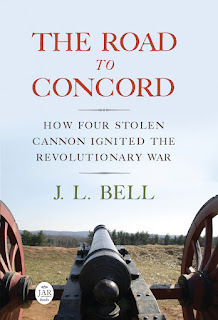 James Barrett’s household was busy moving the most valuable weaponry off his Concord farm. The sight of the mounted officers caused Sgt. William Munroe to summon a guard at the Lexington parsonage. But again, news of the much larger column of soldiers increased the alert level in both towns, producing the full militia alarms. It looked like this debunking was itself quickly debunked and didn’t affect early-20th-century recountings of the Battle of Lexington and Concord. The letter itself appears to have stayed in private collections because authors continued to quote the published version only. In Paul Revere’s Ride, David Hackett Fischer made an impressive case that Paul Revere had a social network among the Boston Whigs second only to Dr. Joseph Warren. As I’ve delved into the sources myself, I came to see the data that went into that analysis as seriously flawed. Nonetheless, I think the conclusion about about the importance of those two men’s social networks is sound. One of the main themes of my talk last weekend about William Dawes, Jr., was that he, too, enjoyed a broad and buzzing social network. 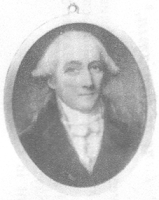 Dawes got off too a good start as first cousin to the builder Thomas Dawes (1731-1809), who hosted a political caucus in the early 1760s, later rose to be colonel of the Boston militia regiment, and eventually was a deacon at Old South. 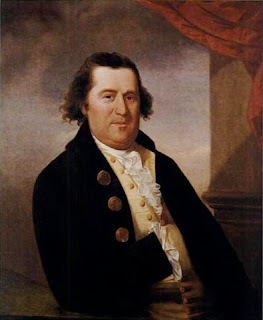 In the early 1770s, William Dawes began to climb in Boston society by those same routes. He was elected to office in town meetings, starting as an “Informer of Deer”—basically a game warden. Provincial law required all towns to elect such deer-reeves. Boston was unlikely to have had many deer being hunted out of season, and I can’t tell if Dawes got this job as a sinecure or because as a leather-dresser he was actually in touch with deer poachers. Dawes also rose within the militia, being designated as the regiment’s adjutant with the rank of lieutenant in 1772. (In The Road to Concord I said he was “junior adjutant” because I was misled by old typography and didn’t think through old prose with new knowledge. The “Junr.” was part of Dawes’s name, not his rank.) As adjutant, he helped organize the militia drills and therefore must have gotten to know all the officers and most of the men. Mr. Adjutant Dows, has desired on behalf of a milatary chore [i.e. corps] to have the use of Faneuil Hall three Monday Nights in a Month which was granted accordingly. The Selectmen having heard Capt. Waters and Mr. Adjutant Dows relative to the Hall, it was determined that they should each have the Hall two Nights, in a Month. the Adjutant to have the first Monday Night. I believe “Capt. Waters” was Josiah Waters, Sr. (1721-1784), listed with that rank in the militia in 1774. He was also William Dawes’s uncle by marriage. Capt. Waters attended, and desired the use of the Hall for his Company every Monday Evening, as Capt. Waters informs that Mr. Adjutant Daws & the Sergeants have done with it. It would be nice to know how “Mr. Adjutant Daws & the Sergeants” used Faneuil Hall. Were they training themselves in the standard drill so they could train the men, training some of those men, or just socializing? That winter the Ancient and Honorable Artillery Company met in Faneuil Hall every first Wednesday evening before shifting to Fridays. Dawes was also a member of that organization from 1768, and he served as a sergeant in 1770. In 1772, however, he was fined a shilling for not appearing at a meeting. After the war, Dawes helped to revive the company by signing up a large class of new members, several related to him—more networking. Since Dawes knew so many men in Boston, it makes sense that the Massachusetts Provincial Congress’s committee of safety went to him in early 1775 when they needed to connect with the militiamen hiding two brass cannon. Likewise, he made a good messenger for Dr. Warren. Col. John Hancock of the Company of Cadets must have recognized Adjutant Dawes in Lexington in the early morning of April 19, 1775, just as he recognized Paul Revere. On Tuesday, 16 April, the American Antiquarian Society will host a lecture by Patrick Spero on “Frontier Rebels: The Fight for Independence in the American West, 1765-1776,” based on his recent book. Spero will recast the familiar narrative of the American Revolution, moving the action from the Eastern Seaboard to the treacherous western frontier and recounting the untold story of the 1765 rebellion of the “Black Boys.” In doing so, he will reveal an often-overlooked truth: the West played a crucial role in igniting the flame of American independence. In 1763, the Seven Years’ War ended in a spectacular victory for the British, but many Native Americans, fearing that the British Empire would expand onto their lands and conquer them, refused to lay down their weapons. Under the leadership of a shrewd Ottawa warrior named Pontiac, they kept fighting for their freedom, eventually spurring the British to organize one of the largest peace offerings ever assembled. As the cargo moved into the interior of North America in search of Pontiac, a ragtag group of frontiersmen known as the “Black Boys”—dressed as Native Americans and smearing their faces with charcoal—set about stopping this peace deal in its tracks. Furious at the Empire for capitulating to Native groups, whom they considered their sworn enemies, and suspicious of British intentions, these colonists turned Native American tactics of warfare on the British Empire. The outcome of these interwoven struggles would determine whose independence would prevail on the American frontier. Patrick Spero is the director of the American Philosophical Society Library in Philadelphia. His other books include Frontier Country: The Politics of War in Early Pennsylvania and the anthology The American Revolution Reborn: New Perspectives for the Twenty-First Century (based on this conference). Before joining the A.P.S., Spero taught at Williams College in Massachusetts. This event is cosponsored by the Franklin M. Loew Lecture Series at Becker College. It will start at 7:00 P.M. in the newly expanded A.A.S. building, 185 Salisbury Street in Worcester. It is free to the public. Many events happen annually on Patriots’ Day (weather permitting), but here are a couple of events scheduled for tomorrow that will occur this year only. 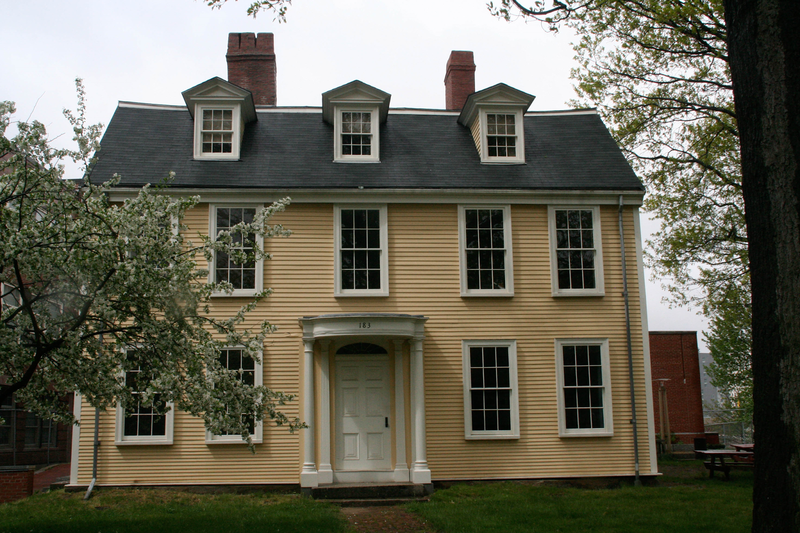 From 10:00 A.M. until noon, the Roxbury Historical Society will celebrate the reopening of the Dillaway–Thomas House. 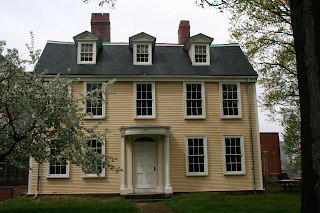 This building was started in 1750 as the parsonage for Roxbury’s first meetinghouse. During the siege of Boston, Gen. John Thomas used it as his headquarters. The Dillaway–Thomas House is at Eliot Square on Roxbury Street. The Patriots’ Day tours are free, as are the 9:00 ceremony leading to the National Lancers’ reenactment of William Dawes’s 18 Apr 1775 ride through Roxbury and the 11:30 trolley tour of the neighborhood’s historic sites by historian and politician Byron Rushing. In the evening, the Concord Museum hosts William H. Fowler, Jr., speaking on “The Revolution’s Odd Couple: Sam Adams and John Hancock.” The partnership of Hancock and Adams was crucial to Massachusetts’s move to independence and, though they split personally and politically in the late 1770s, the two men were partners again as successive governors in the 1790s. A charming storyteller and speaker, Fowler has written short biographies of each man. In fact, his book about Adams was what enticed me to plunge into researching local Revolutionary history twenty-odd years ago. This talk is scheduled to start at 7:00 P.M. in the museum’s new events hall. Seats cost $10, or $5 for members. Register here. Fowler will be happy to sign copies of his books afterward. I enjoyed tracking the Massachusetts Whigs’ logical dance as they justified sharing and then publishing the “Hutchinson letters” that arrived from Benjamin Franklin in 1773 along with restrictions on, well, sharing and publishing them. Boston politicians recognized the political power of those documents. Focusing on that shady side of the story, however, obscures the far more darker claim in that dispute: that everyone should have kept those letters secret. By modern democratic standards, those documents should never have been secret to begin with. British governments of the period demanded control over information about their workings, with only halting steps toward openness. Before 1770, for example, it was unclear whether it was legal to report in detail about debates in Parliament. Governors, generals, and other public appointees took their correspondence files home with them when they retired. Legislative or public oversight of government officials was weak. In 1769, William Bollan leaked the official correspondence between Gov. Francis Bernard and the Secretary of State in London, Lord Hillsborough. Those pages described Bernard’s meetings with the Massachusetts Council and dealings with the Massachusetts house, as well as other public events. They made recommendations for Crown policy toward the province, from one unelected official to another. Today we expect such discussions to be conducted with as much openness as possible. In 1773, Franklin followed Bollan’s example by sending over letters collected by Member of Parliament Thomas Whately, known for his political attachment to George Grenville and his interest in American policy. Gov. Thomas Hutchinson kept repeating that those documents were “private letters,” written before he became governor. But in 1768-1769 he was Lieutenant Governor and Chief Justice of Massachusetts. Hutchinson and Whately had never met and weren’t business partners. Their only reason to write to each other was to share information and views on Massachusetts government. Whately’s correspondence with Lt. Gov. Andrew Oliver, then provincial Secretary, included discussion of how the Massachusetts constitution should be changed. Oliver’s goal was to insulate the Council from popular pressure—a major concern among eighteenth-century aristocrats (or aristocrats of any period). That goal obviously depended on keeping the people ignorant of such discussions. We now base our governments on the consent of the governed and the choice of the people, not filtered through a hereditary monarchy and nobility and the excuses people invent to justify such a system. Public knowledge and full access to government information for the public’s representatives are key to making our system work. It should come as no surprise that I got interested in the “Hutchinson letters” this month because of the current U.S. administration’s attempts to conceal significant public documents. These include the uncensored Mueller report, the Trump Organization tax filings, orders overriding denials of security clearances, the paper trail of Supreme Court candidates, the President’s interference in building a new F.B.I. Headquarters, visitor logs at the White House, and much more. Some of those attempts to conceal our government’s workings go against legal and legislative precedent. Others violate stated law. In all cases, they undercut our ability as a people to govern ourselves—an ability Americans first won after men working in the imperial capital slipped the Massachusetts legislature documents that royal appointees wanted to conceal. Thomas Hutchinson wasn’t the first royal governor of Massachusetts to see his letters to officials in London published and pilloried back home. In fact, I think that precedent was a big part of the problem. One of my big ideas about the American Revolution is that the Townshend Act of 1767 and the Tea Act of 1773 wouldn’t have provoked such widespread opposition in North America if the Stamp Act of 1765 hadn’t gone further than either and set the terms for the debate. The Stamp Act impinged on many aspects of daily life, from getting married to reading a newspaper to suing a neighbor for debt. It was designed to spread out the cost of enjoying the benefits of living in the British Empire. But that also meant a lot of British colonists suddenly felt that they were being taxed by a distant legislature. The Townshend Act and Tea Act focused on particular commodities as they were shipped from Britain. Sure, most households used tea, glass, and paper, but only the importers were actually taxed. By 1767, however, the troubling idea that Parliament was imposing taxation without representation and that would lead to political slavery had been established in Americans’ minds. It has been long apprehended that the publick transactions & general State of the Town as well as the Behavior of particular persons have been greatly misrepresented to his Majestys Ministers by some of the principal Servants of the Crown & others here. . . . These Apprehensions are greatly strengthend by the unexpected favor of a Gentleman of Character in London who has been so kind as to procure & transmit to his Majestys Council of the province certain Letters from Governor Bernard to the Earl of Hillsborough together with one from General [Thomas] Gage to the same noble Lord. It is remarkable that Governor Bernard, not long before these Letters were made public, expressed to a certain Gentleman, his earnest Wish, that the People of this Province could have a Sight of all his Letters to the Ministry, being assured that they would thereby be fully convinced that he was a Friend to the Province—Indeed he made a Declaration to the same Purpose, in one of his public Speeches to the House of Representatives. Upon the Arrival of the Letters however, he discovered, as some say, a certain Paleness, and complained of as an Hardship that his Letters, wrote in Confidence, should be expos'd to the View of the Public.—A striking Proof of the Baseness, as well as the Perfidy of his Heart! It is, of course, very suspicious when an official claims to want to share documents with the public but then does everything in his power to keep them under wraps. Bernard’s letters turned out to be far from complimentary about the people and government of Massachusetts. My worthy friend, Mr. Richard Cary, advises me that he has reason to believe that you would not be displeased with such intelligence as I might sometimes give you relative to public affairs. . . . if you wish to know the most secret transactions of your enemies here, I shall be proud of the opportunity to inform you in every particular as soon as matters transpire. Could it possibly be imagind that a man who is bone of our Bone, & flesh of our flesh—who boasts that his Ancestors were of the first Rank & figure in the Country, who has had all the Honors lavishly heapd upon him which his Fellow Citizens had it in their power to bestow, who with all the Arts of personal Address professes the strongest Attachmt. to his native Country & the most tender feeling for its Rights. Samuel Adams’s 1770 letter to Sayre asked of Gov. Hutchinson, “Why does not this Man make his Letters publick?” Hutchinson was keeping secrets, Adams implied, only because he had a lot to hide. Massachusetts colonists were already primed to hear another story of a royal governor claiming he’d been advocating for the province only to be exposed as denigrating it. I’ve been tracing the maneuvers in 1773 around the “Hutchinson letters.” Benjamin Franklin sent those documents to the speaker of the Massachusetts house under conditions of secrecy. The Massachusetts Whigs nibbled away at the edges of that promise until in June they just decided to publish. Edes and Gill issued the letters about Massachusetts in pamphlet form. (Their first edition omitted the letters from others about Connecticut and Rhode Island.) Isaiah Thomas’s Massachusetts Spy reprinted them all over the following weeks. Here is a British reprinting of the letters, plus a defense of them and an attack on Franklin for divulging them. Lt. Gov. Thomas Hutchinson, 18 June 1768, on the Liberty seizure and riot. Hutchinson, August 1768, on protests against the Customs Commissioners. Hutchinson, 4 Oct 1768, on unrest and the landing of the regiments. Robert Auchmuty to Hutchinson, 14 Sept 1768, warning about a death threat (enclosed with the above). Hutchinson, 10 Dec 1768, on actions of the Massachusetts Council. Hutchinson, 26 Oct 1769, on the non-importation boycott and Gov. Francis Bernard’s departure. Secretary Andrew Oliver (shown above), 7 May 1767, on the problems of an elected Council, his salary, and other matters. Oliver, 11 May 1768, on protests against the lieutenant governor and Customs Commissioners. Oliver, 13 Feb 1769, with ideas for changing the Council to be independent of the lower house. Oliver, 12 Aug 1769 from New York on colonial business, non-importation, and his appointment. Nathaniel Rogers (Hutchinson’s nephew), 12 Dec 1768, seeking Oliver’s position if Hutchinson moved up to become governor and Oliver moved up to become lieutenant governor. As Hutchinson pointed out after the publication, his letters never proposed new laws or changes to the Massachusetts charter. (Oliver mused on such possibilities, and the letters from Rhode Island and Connecticut were open about change.) Hutchinson’s phrase “an abridgment of what are called English liberties” came after a lament about the distance between North America and London; in his mind, it was a statement of regrettable fact, not a prescription. Neither Hutchinson nor Oliver suggested sending troops into Boston to keep order. As Hutchinson noted, his report on the Liberty riot couldn’t have reached London until the ministry already had those plans under weigh. Finally, Hutchinson pointed out that in the year before these letters leaked, he had engaged in a public debate with the Massachusetts house about the relationship between the elected colonial government and the royal authorities, making the same points he had made in his letters. So how could he have engaged in a secret conspiracy? Nonetheless, the letters destroyed Hutchinson’s credibility and political career in Massachusetts. TOMORROW: What was wrong with the letters.